Chartres museums and historic places give a different touch of your historic vacation. Attractive scientific exhibitions for kids and the whole family, discover art and culture, places to explore even for certain people who have particular interest such as stained glass windows. 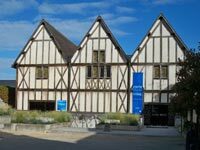 Not all of Chartres museums are free entry and you can visit several historic places ONLY in a certain moment for example on the Heritage Days - Journées du Patrimoine, which only occur once in a year. Keep in mind also that Chartres museums offer a special discount price or even free tickets if you have Chartres Pass coupon that you can buy in the tourist office. 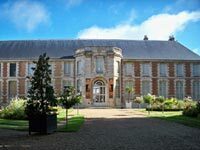 The Fine Art Museum - Musée des Beaux-Arts, situated just behind the Chartres Cathedral. Formerly was the ancient episcopal palace from the 12th century, where the bishops of Chartres lived. Some religious sculptures and painting from European School, and other collections of ancient and modern arts are on all year exhibition in the museum. Centre International du Vitrail - International Stained Glass Center was established on the medieval cellars of the 13th century, on the ancient Grange aux Dîmes. It has been classified as a monument history since 1980. It is the best place to discover the technique of the stained glass from the Middle age, ongoing exposition of ancient and contemporary stained glass. And if you are really interested on stained glass arts, taking part of stained glass technique class is possible. 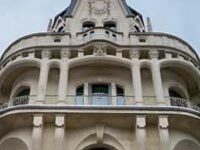 Museum of the Natural Science and Prehistory proposes you to discover the heritage of the nature and prehistory in Eure et Loir. 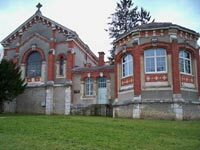 It has more than 200 birds species and small mammals collections of all over France, the insects collection from five continents and also the geology and prehistory collections which become the part of the history of the region. Chartres has become a center of the historical and archeological research and conservation since 1976. The focus is to study the city evolution development during the Roman period to the present period. Fascinating exhibitions and activities offer new discoveries to archeology, an educative and at the same time a fun things for kids as well as adults. Unlike a common house, Maison Picassiette is a sample of naive architecture - beautiful and stunning art works. 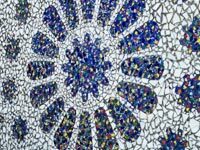 Raymond Isidore, the house owner, covered his whole house with mosaic of millions pieces of glass, porcelain and crockery. Maison Picassiette is the second most visited place in Chartres after Chartres Cathedral. Formerly was a post office building, La Poste, classified as an additional historic site in Chartres on August 1994. The city council has confided the renovation of the building to the architect Paul Chemetov on 2004. The building was re-opened with a new function as a public media library with a new name - L’Apostrophe. 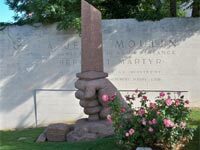 9 monuments to discover in Le Chemin de Mémoire - Path of History of Chartres. Simply by following series of plaque embedded on the ground. 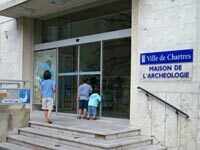 First inaugurated in 2006, after a grand renovation in the city center, Walking Path of History of Chartres become a new tourist activity for kids and family also ideal for students groups.